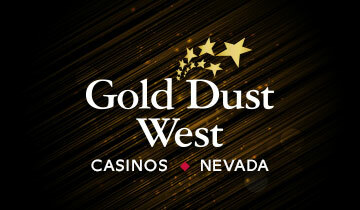 Gold Dust West is the exclusive casino partner in Northern Nevada for the National Slot Tournevent of Champions. This year, each of our properties – Reno, Carson City and Elko – crowned champions who will be headed to Las Vegas this October, for the $1 million top prize! Play the hottest and newest slots in town, or join in all the casino action with our exciting tournaments and monthly events and giveaways. Go where the locals go for gaming action. Here are a few reasons why Gold Dust West is a neighborhood favorite! Gold Dust West Reno invites you to Your “New” House Full of Friends. It’s 3 times the fun at Your House Full of Friends! Play, Stay and Dine at Gold Dust West!